You can trust our residential movers and packers for efficient, courteous service no matter where in the Bay Area you might be moving. When you’re moving locally within the Bay Area, it just makes sense to go with movers who have lived and worked here for decades. That’s why you should choose the local moving experts of Upline Moving! A family-owned business, we’ve helped tens of thousands of individuals and families complete even the most complex relocation projects. At Upline Moving, we focus on providing a more customer-centric residential moving experience—and our unmatched dedication to our clients is reflected through our many industry awards! An Angie’s List “Super Service Award” winner and an A+ BBB-accredited business, we are also consistently named among the “Best of San Francisco” and have maintained a 4.5-star rating on Yelp for years. 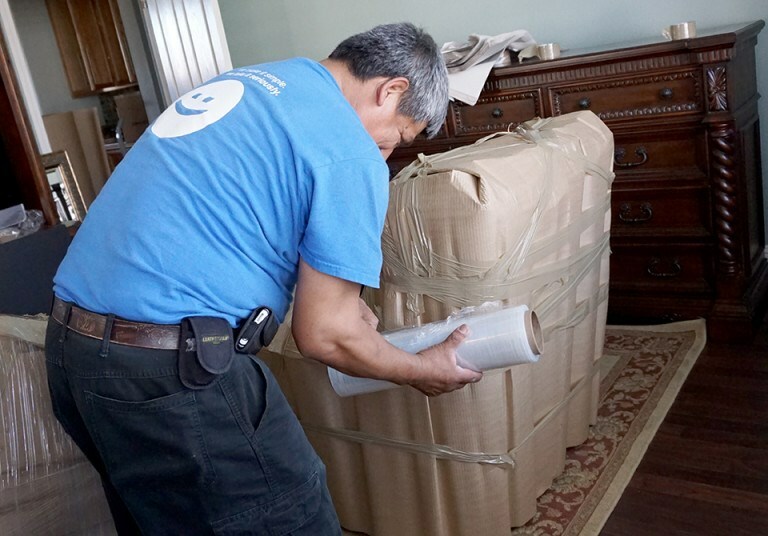 We will customize our many Bay Area residential moving, packing, and storage services to fit your one-of-a-kind needs. We will provide a detailed flat-rate quote for your local move and then stick to it! No hidden fees, ever. We will treat your belongings with the same care you do, and we’ll help you choose additional valuation coverage for extra peace of mind. We will continuously communicate with you to ensure that your expectations are being met and to confirm that your move is proceeding on schedule. Make your next local move as easy as it could be by working with the experienced residential movers of Upline Moving. Just give us a call to explore our top-rated residential moving services, or fill out our online form to sign up for your free quote now!